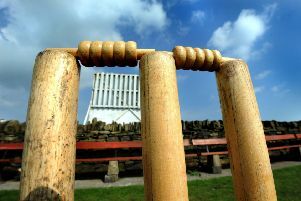 It was another disappointing day for Whitley Bay 1sts as they went down to a 101 run defeat at the hands of Corbridge 1sts in the Northumberland & Tyneside Cricket League on Saturday. The defeat leaves Whitley bottom of the table, marooned on 77 points, 70 adrfi of Bomarsund, who are the other side in the relegation danger zone. Corbridge batted first and with opener David Cook hitting 84 for the home side, Christopher Fowler adding 72 and David Smurthwaite 50, they managed to put on 242-7 in 48 overs, with Shahzad Ahmed taking 2-57. Whitley openers Mark Harris and John Douglas put on a opening stand of 91, but with Harris going on 56 and Douglas on 38 the innings collapsed to 141 all out with Russell Perry taking 4-28 for Corbridge. Whitley 2nds saw their game against lcancelled due to the weather.